Another year of maple syruping is behind me. The season was much shorter this year due to below normal temperatures in March – for tree sap to run, it requires daytime temperatures above 5 degrees celsius and nighttime temps below zero celsius (32F). It takes lots of liquid sap from maple trees to make maple syrup and the sap is frozen in the trees when temperatures are below freezing. Finally near the end of March, the outdoor temps started to rise above zero celsius in the daytime allowing the sap in the trees to unthaw. 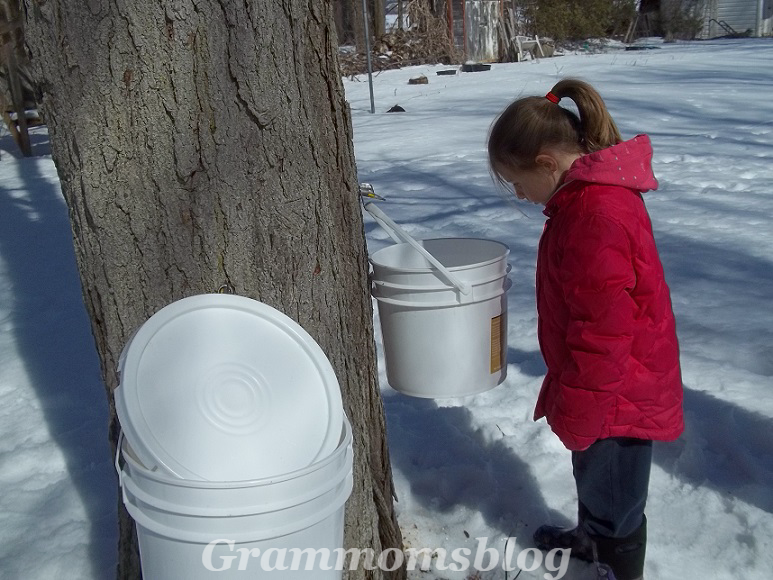 I tapped my maple trees in early April – you can read about it from a few years ago here – and started collecting maple sap in one gallon jugs. Luckily I was still making fires inside in my wood cookstove because it was barely above freezing, so I could boil down the sap right there. Usually I get about 6 litres of sap every few days from my 3 tapped trees in the backyard – it looks just like water but it tastes a bit sweeter. I always drink a glass of the first sap that I collect as a ‘spring tonic’ as some native Canadians used to do . Six litres of sap fits in my largest stainless steel pot. 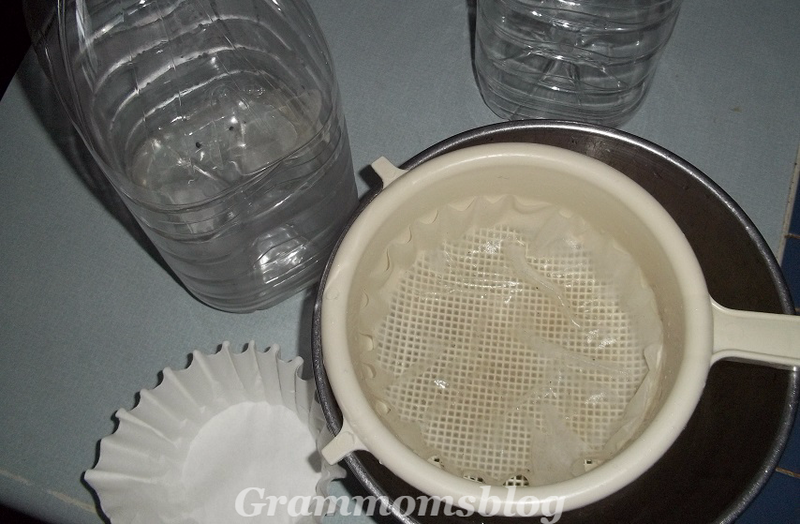 I strain the maple sap through two coffee filters to get out the small bark chips and other organics . 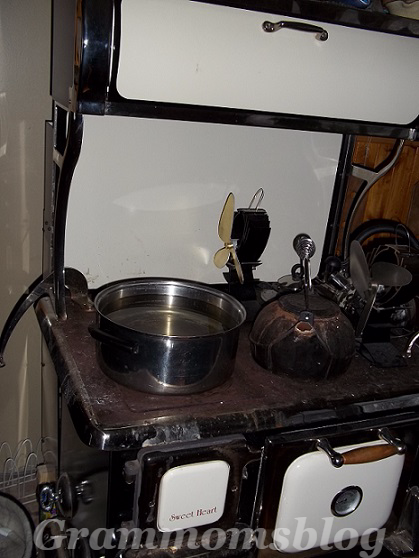 It usually takes almost 2 days of simmering on top of the cookstove all day to boil down to syrup. From this whole 6 litre pot of sap, I get about a cup or so of pure maple syrup – that’s it! I don’t do anything fancy like check the temperature of the sap – I simply eyeball it to tell if it’s the consistency of thicker syrup. 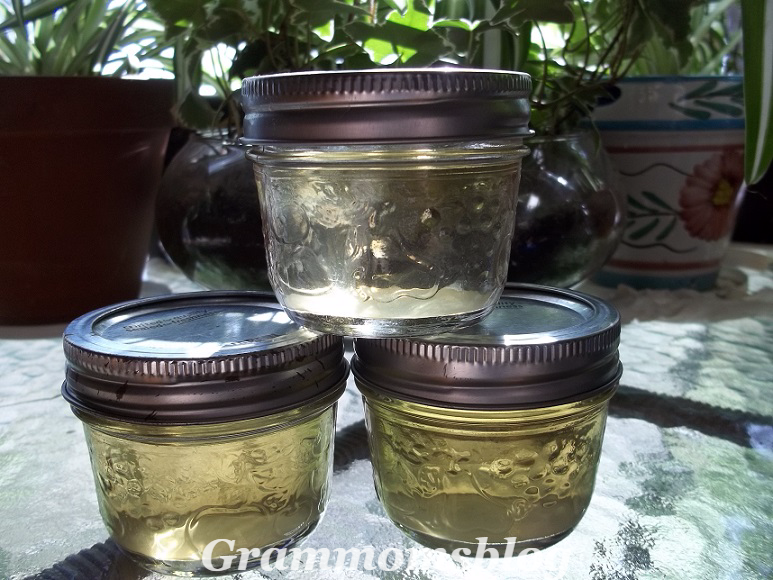 Once the sap has boiled down to maple syrup, I sterilize some small jam jars and their lids in boiling water for 10 minutes. As soon as I remove the jar from the boiling water, I pour the maple syrup into it. I dip a clean cloth into the boiling water and wipe off the rim of the jar before placing the hot lid fresh out of the water. I end up with so few jars of finished maple syrup that I don’t get out my large canning pot to process it. 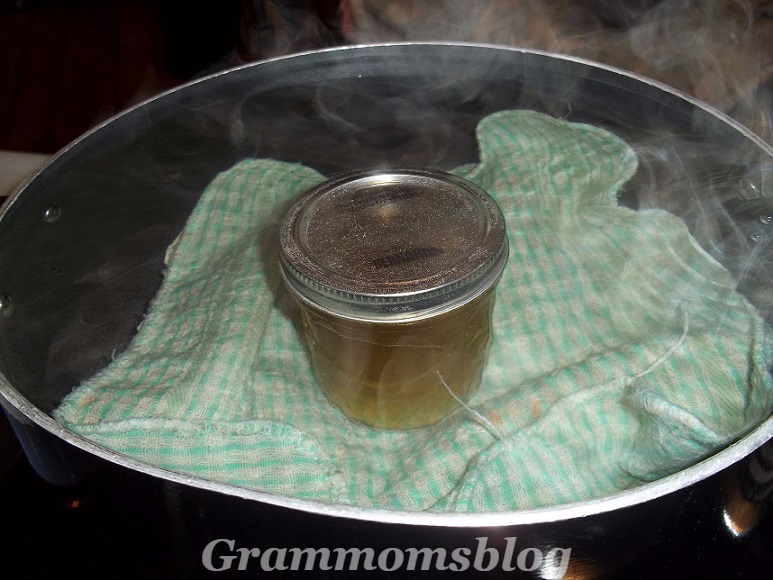 I simply place the clean cloth in the bottom of a pot and put the 2 or 3 small sealed jars in the water and make sure that they stay covered with boiling water. I process them for 15 minutes after the water begins to boil again. After removing the jars from the boiling water with my handy-dandy jar tongs, I let them sit on a cutting board to cool down. It’s a wonderful sound to hear that clear ‘pop’ when the lid seals itself. Now the maple syrup is ready to be stored or eaten. In the past, I neglected the necessary part of the water bath process and ended up with moldy maple syrup even though I kept it in the fridge. 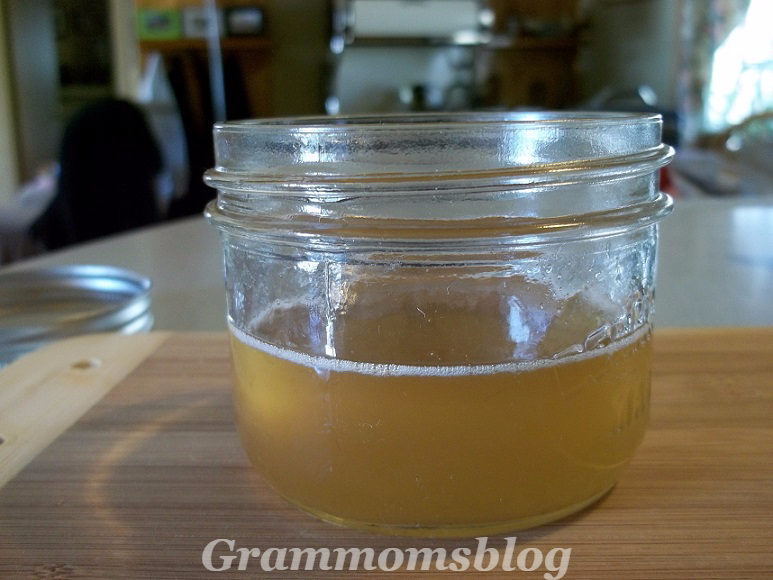 Homemade maple syrup from my own trees is incredibly delicious! I think it’s better than anyone else’s syrup. 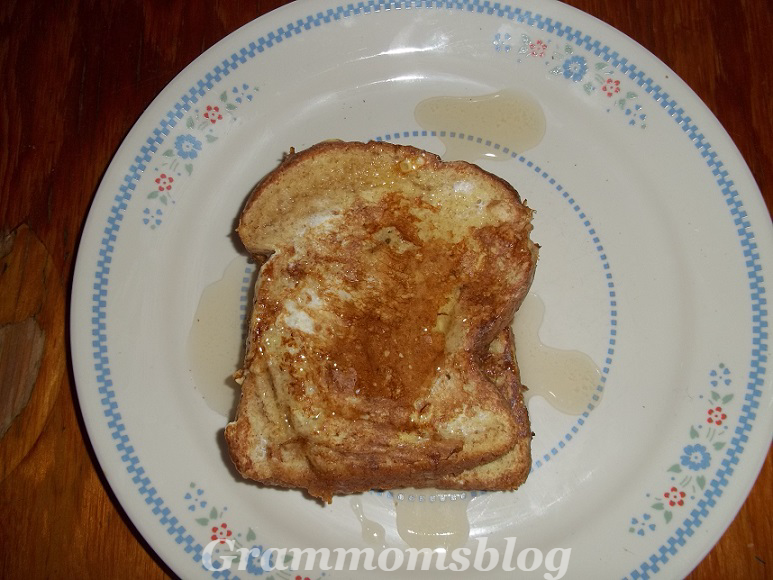 I had some right away on my French Toast for lunch.